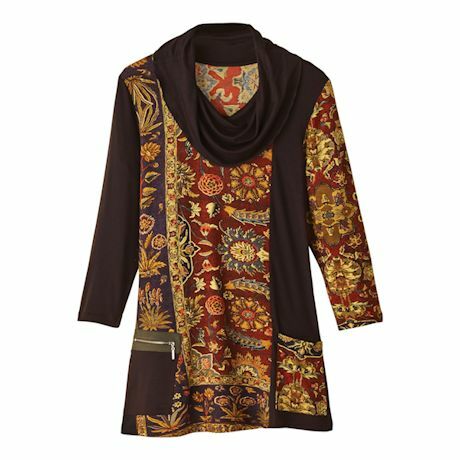 If you love the simplicity of black but crave a little pattern, this long-sleeve tunic adds panels of richly colored earthtones in just the right amount. A mix of textures add interest without being too busy; one patch and one zip pocket make it extra-functional. 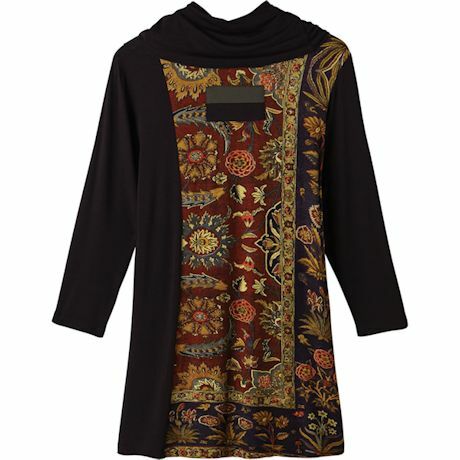 95% rayon/5% lycra. Imported. S(6-8), M(10-12), L(14-16), XL(18), 1X(18W-20W), 2X(22W-24W), 3X(26W); 33"L.